For the past year and a half, I have been a member of the Leadership Committee that is planning and organizing Georgetown’s John Carroll Weekend (an annual alumni reunion taking place in London this year). All those months of hard work are coming to fruition, with the weekend taking place next week (18th – 21st April)!! We have over 1,250 people (Georgetown alums, family and friends) descending on London, and I’m super excited about all the events we have planned: cocktail parties, museum outings, private tours, and the one event I’ve been eagerly awaiting, a discussion between former U.S. Secretary of State Madeleine Albright and Burberry CEO Angela Ahrendts on global leadership in the digital age. 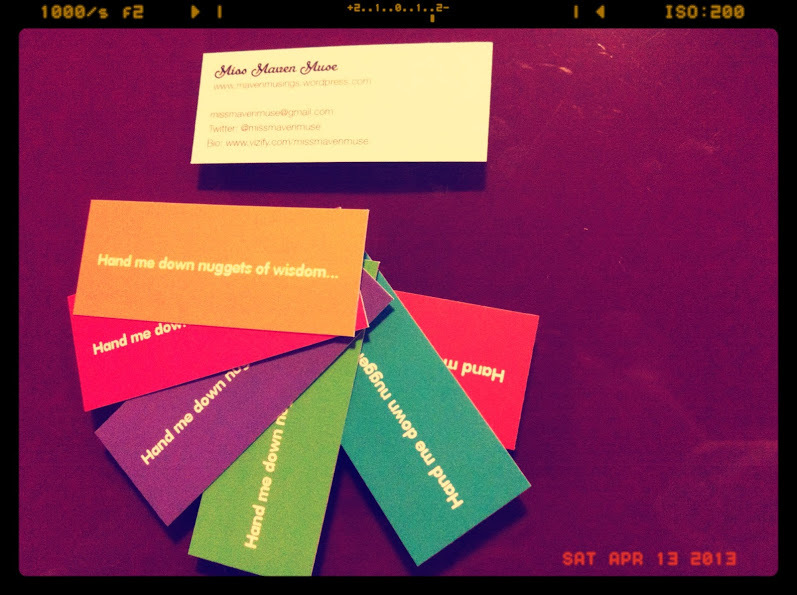 In anticipation of all the socializing and networking I’ll be doing throughout the weekend, I made some Miss Maven Muse networking cards. I ordered them off of a really cool web-based printing company called Moo. 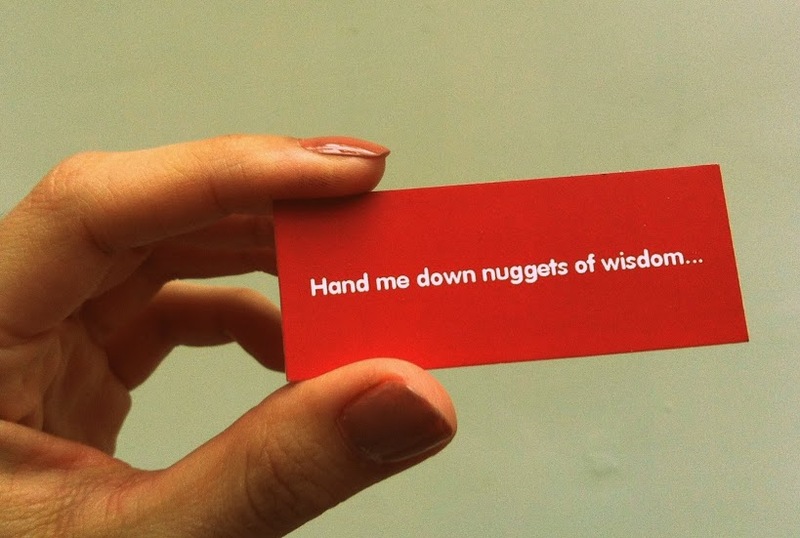 They’re all about design, and their MiniCards are the perfect networking tool! I used MiniCards when I was job hunting (which had my mobile or cell number, email address and the url for my LinkedIn profile), and they were great conversation starters. The good thing is that these little cards are not mainstream (yet), and when I hand them out I get comments along the lines of “Ohhhh, they’re so cute!” They are personalized, memorable and a great way to get people to remember you. 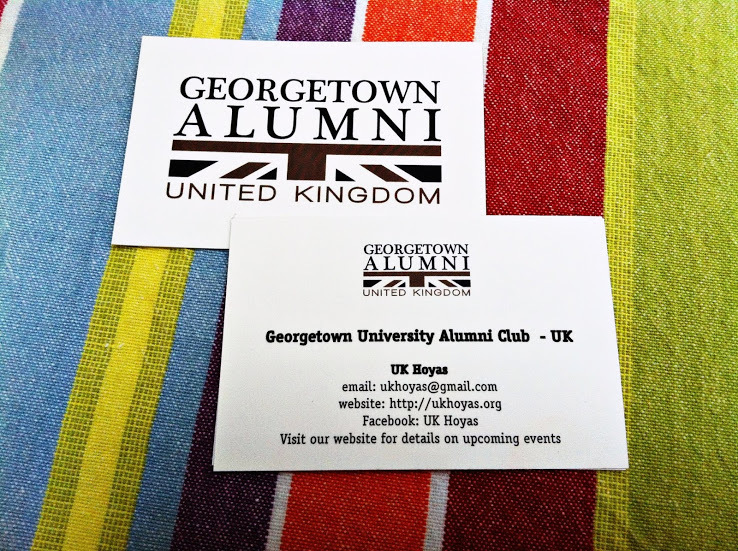 I also made some cards for the Georgetown UK Club (my cousin designed our awesome logo). I gave a stack of cards to each of our Board members with strict instructions to hand them out throughout the weekend!